Each time I have crossed the majestic Loire river in north-central France I have been silenced by its magnitude and power. Gushing from the earth at the base of the 5,000 ft. peak, the Mont Gerbier du Jonc in the southeastern departement of the Ardeche, the last major wild river in Europe that defines the essence of this region roils and thrusts its way for over 550 miles across l’Hexagone to the Atlantic ocean at the historic port city of St. Nazaire. For 2,000 years it has nurtured a vast viticutural landscape from which have sprung some of the most expressive and compelling wines in the world! Here it begins - the source of the Loire river with the Mont Gerbier du Jonc peak in the distance..
From the 1st century, as the Roman empire extended its reach across northwestern Europe, the verdant lands of the Loire were planted to the vine. 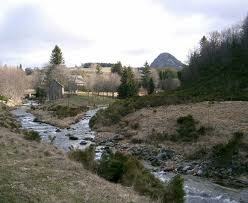 By the 5th century, viticulture here began to flourish. Six-hundred years hence, wines from the upper Loire district of Sancerre held a place of great stature throughout Europe. By the High Middle Ages, the reputation of the vinous offerings emanating from what is today France’s second largest wine-producing region eclipsed even that of Bordeaux in both England and France. Here, in the Renaissance period Francois 1er, native son and patron of the arts and literature, acceded to the French throne in 1515. He significantly enhanced the brilliant cultural legacy of the royal French courts. Some of the most celebrated chateaux of France – Chambord, Chenonceau, Blois and Amboise are a testament to his enlightenment. These great edifices of opulence and conquest stand majestic – mute sentinels harboring tales of daring and drama that in a moment of contemplative solitude, can seem almost palpable. Yet the vine, always a partner of great humility, gently reminds us by its dominant and expansive presence here that were it not for its merits and great affinity for the Loire, the Romans may never have set the stage for the kings of France to so gloriously anoint this region! 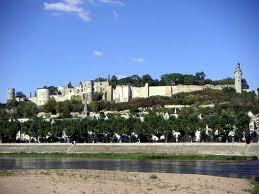 Today, the vibrant viticultural expression and diversity of the Loire make it one of the finest wine regions anywhere! To the east, where the bright, high-acid and often bracing Sauvignon Blanc variety is paramount, wines of the upper Loire districts of Sancerre and Pouilly-Fume can show deep complexity. 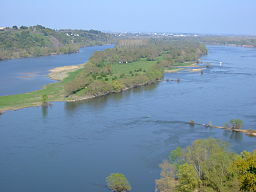 In the middle Loire, historic vineyard lands with names like Vouvray, Touraine, Chinon and Saumur produce red, white and sparkling wines of pronounced charm and unique character. Coaxed foremost from the Cabernet Franc and Chenin Blanc varieties these wines are consistently enticing and at times, spectacular! As the river courses ever further west, pushing relentlessly towards the sea and the lower Loire, it nurtures the great Chenin Blanc vineyards of Savennieres, Coteaux du Layon and Quarts-de-Chaume giving rise to some of the most spectacular and long-lived botrytized dessert wines produced anywhere! Hurtling to its ultimate rendez-vous with the mighty Altlantic ocean, the Loire presses finally through the regions of Vendee and the Loire Atlantique. The mighty river reaches the Atlantic! Here, in France’s most northwest vineyard latitude, the characterful Melon de Bourgogne variety which gives us Muscadet yields wines of crisp green apple, lemon zest, hints of sea salt and flint from the three major districts of Sevre-et-Maine, Muscadet Cotes de Grand Lieu and Muscadet Coteaux de la Loire among others. I had a chance to revisit many fine of examples of the region’s wines recently when the Loire Valley Wine Bureau hosted a tasting in San Francisco. Forty-four producers were in attendance representing a significant number of the Loire’s appellations showing mostly wines from the very successful 2009 and 2010 vintages. The Domaine Pichot Vouvray 2010 caught my attention with its smoky and honeyed aromatics and lush applesauce and lemon zest palate. The wine had lovely texture and weight paired with refreshing acidity and an enduring finish. It is a wonderful offering at around $12-$13 a bottle. Another 2010 effort that I thoroughly enjoyed was the Jean Vincent Sancerre. The nose showed soft white flowers, typical gun flint and lime zest. On the palate the wine was crisp and racy with a purity, balance and mouthwatering finish that begged for Pacific oysters or one of the region’s semi-dry goat cheeses the likes of the ashen pyramide de Valençay. The wine was truly impressive at around $17-$19 a bottle! The Langlois-Chateau Cremant de Loire Brut Rose, vinified from 100% Cabernet Franc was a wonderful example of the fine sparkling wines from the middle Loire region around Saumur. It was visually compelling with a soft apricot hue. While the nose was somewhat elusive, lush, bright strawberries filled the mouth swirling around hints of gravel and wet stones coupled with a delicate effervescence and steady, enduring finish making this a truly appealing wine at $24-$26 a bottle. Another favorite was the 2009 Chinon from Domaine de Beausejour. The wine displayed a deep ruby color along with a fabulous flavor range of black cherries, cola and hints of the typical herbaceous profile that make these wines so wonderful with food. On the palate the wine showed beautiful texture with layers of rich fruit displaying great length and persistence. This is a truly lovely offering at around $13-$15 a bottle. From Chateau de la Ragotiere came a fine example of the wines of Muscadet. The aromatic notes of slate and smoke were greeted on the palate with a slightly riper yet classic green apple flavor profile and a soft herbal-peppery character that made for nice complexity. The wine had good texture and acid balance with good length making it an offering worth seeking out at $11-$13 a bottle. Finally, there was the expected bevy of supplicants kneeling before the 2004 Domaine des Baumard Quarts-de-Chaume. The wine was honeyed with succulent peach and quince paste dancing around and around with stony minerals, lush, golden apples, the smoke of gun powder and the telltale-if-subtle musty signature of botrytis cinerea that in this form is simply one of nature’s greatest gifts! At its $60-$65 price point this wine will do more for most of us than a hot stone and cucumber spa treatment could ever hope to!! With such a plethora of exciting and stylistically-rich wines, the Loire long ago drew an impressive, undulating line in the sand that has for 2,000 years reserved it a distinguished and undisputed seat of great honor at the assembly of the vine. Beautifully descriptive article Mick. I wanted a glass of each as I read the articles. Keep it up and you’ll be writing for Gourmet Traveller or Wine Spectator soon. Keep up the good work. Very nice. so where do we find these wines? where is the “BUY” button?! if you do not plan to sell any of them you should at least make arrangements with dealers and allow the wines you make us want to taste to be added to our cart. Thanks Mick! I have included in the links to the producers their representatives in this market. The buy button is a work in progress. The Jean Vincent Sancerre sounds awesome (you had me at “gun flint”). Where can I find some? Links to the producers agents are included where possible so that is the path to finding the wines. Enjoy!